Series 9400 PVC Ball Valves are designed for a variety of water control projects, waste water, swimming pools, chemical and irrigation applications for residential, commercial, marine, and agricultural use. Sizes Available: 1/2", 3/4", 1", 1-1/4", 1-1/2", 2", 2-1/2", 3", 4"
Industrial grade, maintenance-free sealed unit. 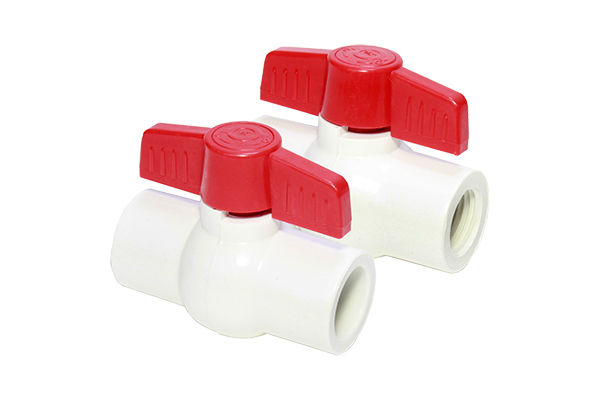 Durable, on-piece, molded PVC valve. Suitable for Schedule 40 and 80 pipes. Full port design, shock resistant, 100% leak tested. Working temperature range 41° F to 122°F (5°C to 50°C).